If you use a default design theme when you create a listing presentation or homebuyer seminar, you’re missing out on an opportunity to build trust and brand awareness. The good news? That’s easy to fix! 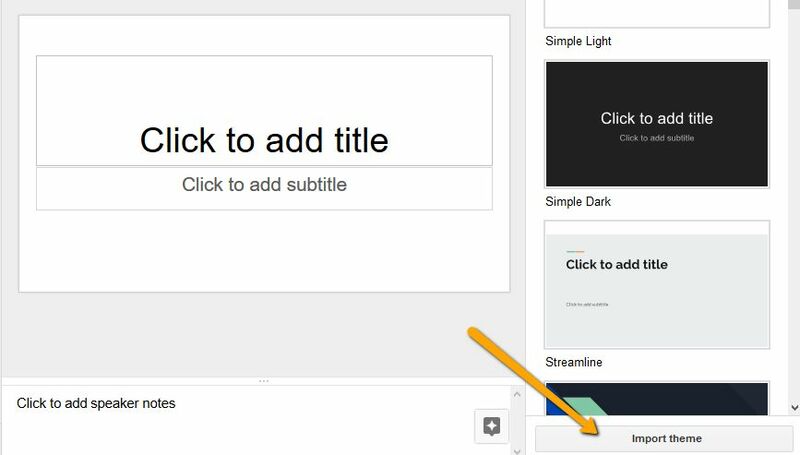 In Google Slides, it’s easy to create a custom theme with your fonts, colors, logo and branding. 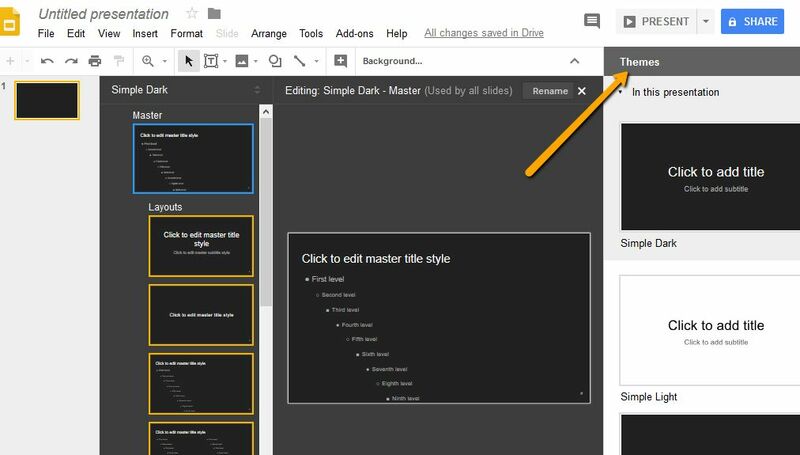 Google Slides is a free tool included with every free Gmail account that makes creating, editing and sharing presentations from any device easy. 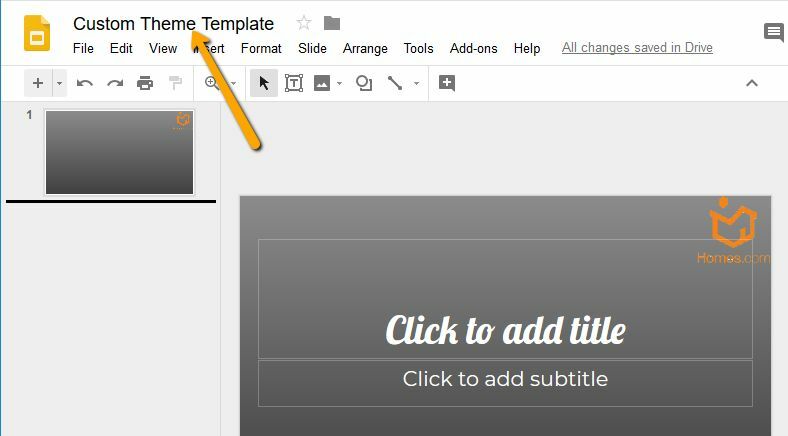 Here’s how to create your own presentation theme in Google Slides. 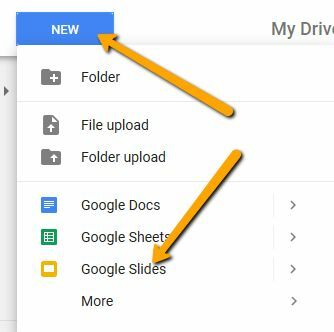 Go to drive.google.com and click “NEW” to create a new Google Slides presentation. 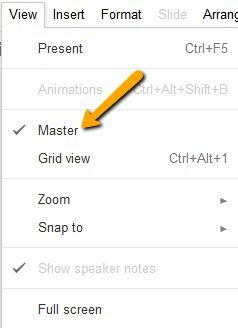 The master file controls the global features of your presentation. Click “View” and select “Master” to create and customize your theme. Choose a theme with a similar look to what you want. Don’t worry too much about colors and fonts; you can change these and many other details afterward. Click the “Rename” button to give your theme a custom name and differentiate it from the base theme. Any changes you make to the master slide change on all of your theme’s layout slides. That makes it easy to apply fonts, colors and header choices across the board. You may also want to use this feature to add your logo, business name or phone number to your presentation theme. The “Background” button appears when you click in the empty area above your master slide; it has one of the largest visual impacts on your theme. You can upload an image to your background, choose a solid color, or apply a gradient for the theme’s background. 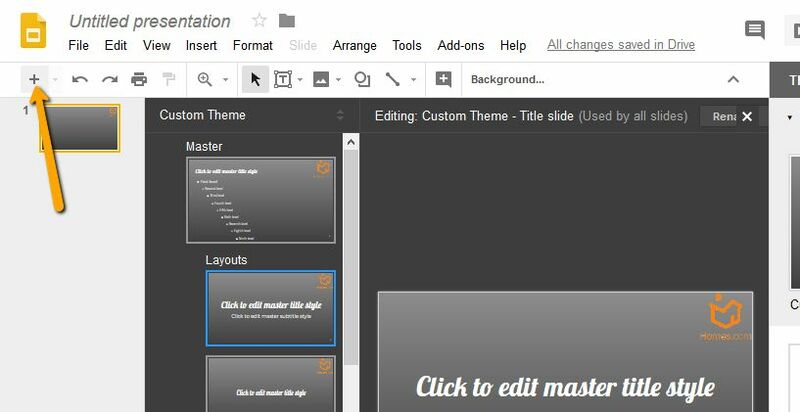 Once your master theme looks how you want it to look, scroll through the pre-formatted layouts to make sure the changes you made on the master slide look right on the individual layouts. If you have the same problem across several layouts, adjust your master slide to fix the problem across the board. If the issue is more localized, you can edit the individual layout in your theme. You can also create brand-new layouts for an even more customized theme. 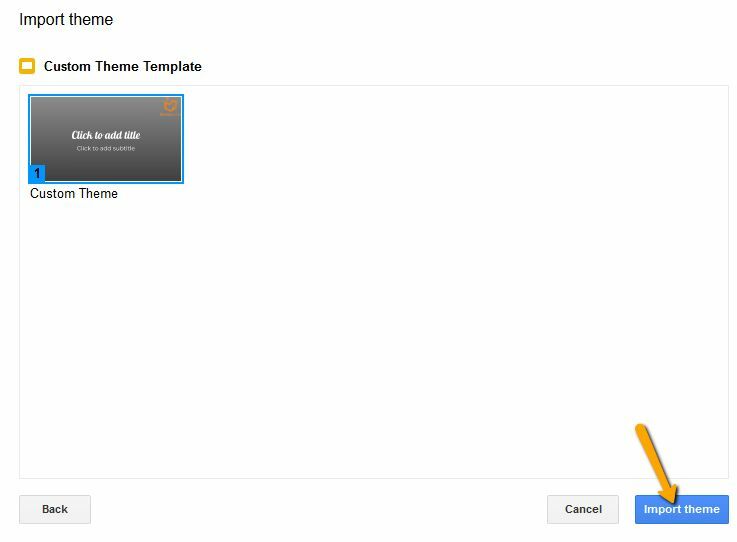 You want to be able to use your theme again and again, so title your completed theme as a template so you remember not to use this copy as a presentation. In the “Presentations” section of the import theme box, you can either scroll through the list of files to find your theme or type its name in the search bar. 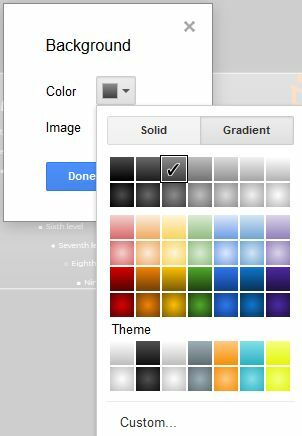 Click “Import Theme” to pull in your customized colors, fonts and layouts. After that, you’re ready to start adding your content. It takes a lot of little things, like having a custom theme, to build your brand so that customers will think of you when they’re ready to buy or sell. Another way is to get in front of them on Homes.com. Learn more here. 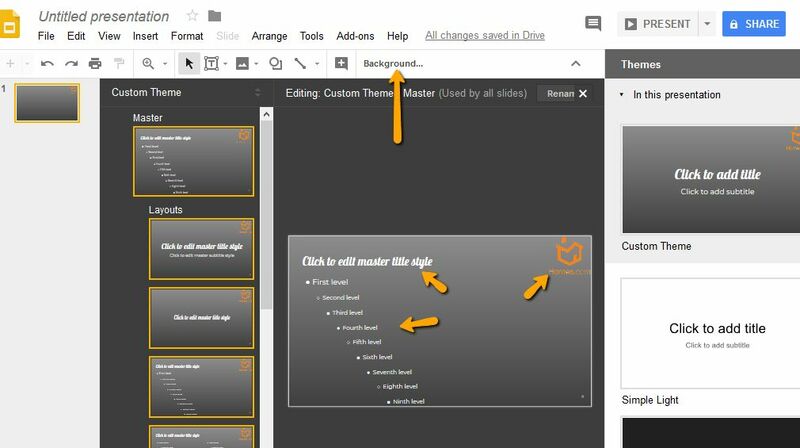 The post How to Create and Customize a Free Theme in Google Slides appeared first on RISMedia.